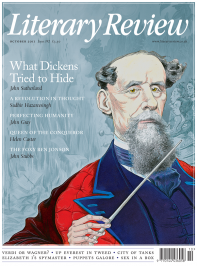 There have been around ninety full-length lives of Dickens. As the 2012 bicentennial approaches the discriminating purchaser will be able to choose between three current frontrunners. Michael Slater’s 2009 biography, still going strong in paperback, is one. A ‘radically revised’ reissue of Peter Ackroyd’s 1990 biography is another. And, coming up fast on the outside track, we have Claire Tomalin.